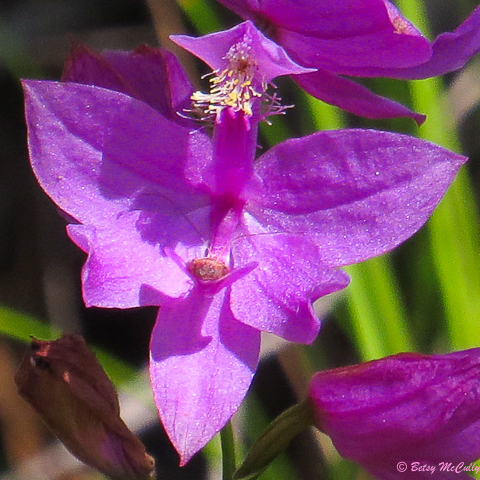 Grass Pink (Calopogon tuberosus). Orchidaceae. Native. Wetland margins, bogs. Throughout region. Napeague, Long Island, 2018.